speed limits on the lakes and all boater safety regulations. The lakes are patrolled by the Orange County Sheriff’s Department/Florida Marine Patrol. 2.Little Lake Down is entered via a somewhat hidden canal on the west side of Lake Down. The canal is to the north of the main canal between Lake Down and Wauseon Bay. Little Lake Down offers some great cover ranging from reed, grass beds and hydrilla, which has also been known to hold some good sized Bass. 3. 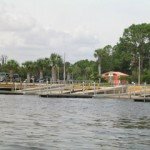 Wauseon Bay is a smaller body of water which essentially acts as a conduit from the west side of Lake Down to Lake Butler. 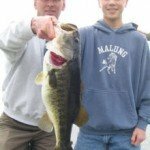 Wauseon Bay offers a wide range bass fishing options, with some great lily pad fields, grass bed and some great docks for flipping. The east side from Bumby Point to the canal is restricted to a no-wake zone on the north side of the buoys due to the proximity of docks. From the south exit of Wauseon Bay, the boater moves onto Lake Butler. has produced some great limits of bass flipping and with spinner baits. Crank baits are a great option on this lake, mostly of a Long A type bait in either a wild shiner pattern or with a blue tint to them. Plenty of grass beds, hydrilla and deep water beds of eel grass can and will make for some great bass fishing action. 5. Lake Louise is a 50 acre lake which is a way-point on the canal from Lake Butler to Lake Tibet. Lake Louise is a long, narrow lake. This is one lake that holds some great eel grass beds as well as some good flooded timber. 6. Lake Isleworth is a somewhat circular shaped pool of about 10 acres on the canal south of Lake Louise. The R. D. Keene Park’s boat ramp is found on this lake. This lake has some excellent lily pad areas as well as areas with some great flooded cypress trees. Frog type baits and Senko type baits produce very well in this type of cover as well as the mouth of the canals which take you to the other lakes. variety of lures from snakes to frogs. 8. Lake Blanche provides 121 acres of shallow to deep water bass fishing. 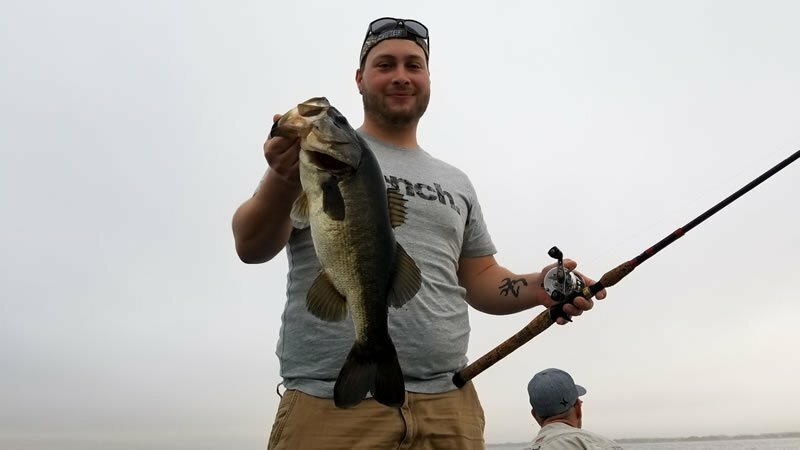 This lake has a very deep hole just as you enter the lake from the canal which has produced some great bass using jiggin spoons as well as dropshot and Carolina rigged baits. The only way out is through the canal back to Lake Chase. 9. Lake Tibet is the second largest lake on the Butler Chain of lakes with 1,198 acres. It is longer than wide and has bays on both the east and west side. The south western side of this lake fronts a nature preserve. With several docks and deeper dropoffs this lake can produce some great bass fishing action and for the crappie fishermen, this lake has produced some great numbers and size. Grass beds and lake points are some areas to key into on this lake as well as the flooded cypress trees. 10. Lake Sheen is 565 acres of circular shaped lake which offers good Bass fishing with several docks. Grass beds again are a key to this lake as with several lakes on this chain. Scattered areas of hydrilla and areas where the cypress trees are flooded have been some of the best producing areas. The canal on the south side of the lake leads to Pocket Lake. 11. Pocket Lake is roughly circular in shape and covers 126 acres. For the guys coming down here from up north, one of the best northern lures we have had some great success using in this lake has been a Mepps Minnow on the developed side of the lake. The undeveloped side of the lake has some very nice reed stands and lily pad areas as well as scattered grass beds. The canal found on the southwest corner of Pocket Lake leads to Little Fish Lake. Warning: This canal is over 1/4 of a mile in length with two right angle turns and usually contains obstacles such as sunken logs, so take care for your prop when going through. 12. Fish Lake or Little Fish Lake is about 30 acres and is often fairly weedy. Although a much smaller, this lake has some excellent cover to it. Few boat docks but a lot of great lily pads. When this lake is on it is on fire. Five fish limits can run 20 pounds plus on this little gem of a lake with very little boat traffic. The only exit is through the canal to Pocket Lake.